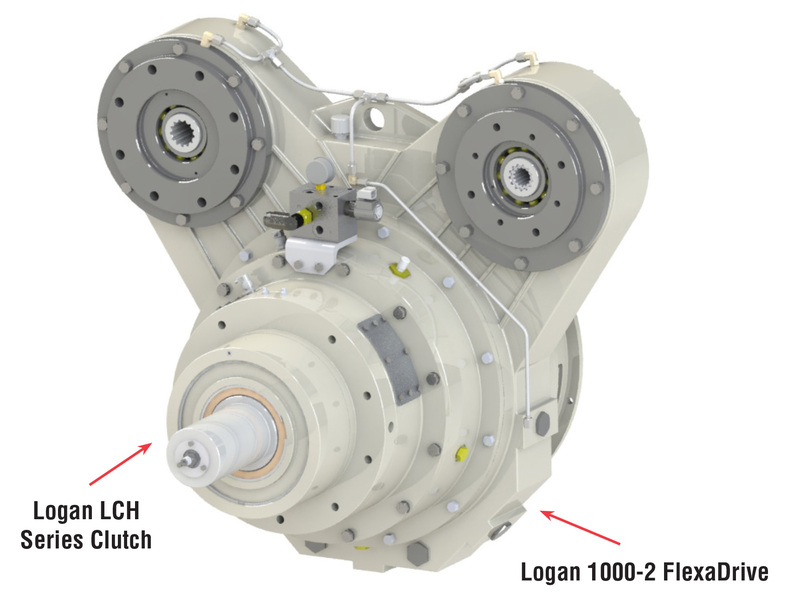 The Logan FlexaDrive multiple pump drive system is a self-contained gearbox with integral flexible coupling, providing full engine power between your engine (power take-off) and transmission. Three (3) different models, with up to five (5) pump drive towers offer up to ten (10) PTO/PTI pump pads with bi-directional rotation for engines ranging from 200 HP (150 kW) to 5000 HP (3700 kW) at a maximum of 2000 RPM (custom configuration available). Various step-up gear ratios are available for direct drive PTO’s. An integral Flexible coupling is part of the system to dampen torsional vibration. Logan FlexaDrives mount to all standard SAE flywheel housings ranging from No. 3 to No. 00. 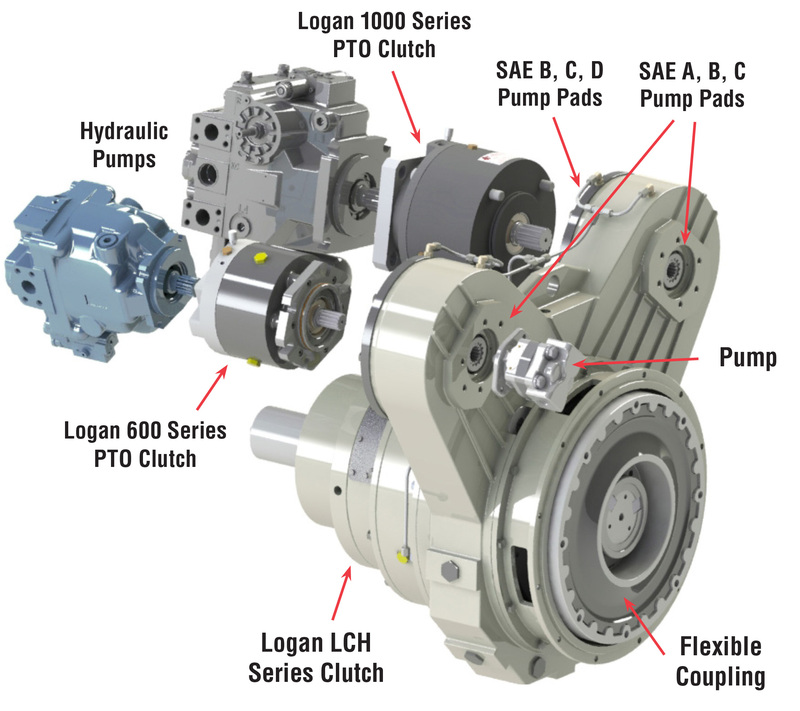 The Logan 2-Position Pump Drive is outfitted with up to four (4) PTI / PTO pads, and can accommodate up to 1000 HP (745 kW) Engines, with maximum Speeds up to 2600 RPM, and a maximum of 160 HP (120kW) per tower under continuous duty.